Has your garage door suffered damage or is it just time for a change? Upgrading your garage door can breathe new life into the exterior of your property and can also improve your home security, so this can be exceptionally valuable. But this is a big decision and you need to take the time to get it right. 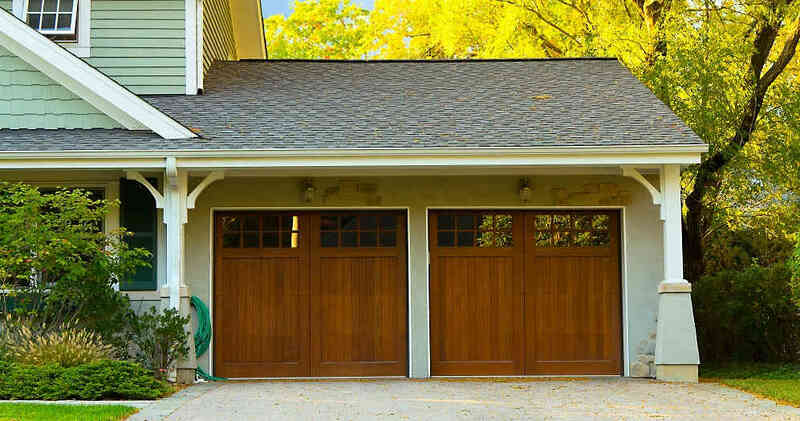 Here are four questions you need to ask yourself before you buy a new garage door. Do your current doors just need repairs? Sometimes we face a situation where there seems to be no other option than to get the garage doors replaced. This could be because your doors have stopped functioning properly or maybe that they have simply worn down from many years of use. But other times you can save yourself a lot of money and time by simply having your current door repaired. For the best advice, you should work with a company that has experience in both providing new garage doors and carrying out repairs – they will be able to give you an impartial breakdown on which would be best in your situation. It may be that the damaged door is beyond repair and you need to look into buying a new one, but it’s also possible that your garage door could serve you for a few more years with a quick tune up and a coat of paint. What material suits the aesthetic of your property? Buying a new garage door can be a brilliant way to upgrade and update a part of your home. Old garage doors that are past their best can give your property a tired look. Having a brand new garage door installed can make a world of difference – it could even make your property worth more money if you’re looking to sell soon. So when it comes to making a decision on exactly what you want from your garage doors, you need to consider the aesthetic of your property. There is a variety of options available ranging from attractive traditional timber to striking steel doors. The right one for you will completely depend on the look and style of your home. Is convenience an issue for you? One reason that many people stop using their garage to store their car is the inconvenience. If you have to get in and out of your car every single time to up and close the garage it can lead to you feeling that it simply isn’t worth the effort. Buying a new garage door can actually be a great way to remove this problem. Consider having automatic garage doors installed at your home. This will allow you to operate the doors with a remote control without ever having to leave your car. When parking is becoming increasingly difficult, having a garage that you can use every day could be very useful. Roller or Up & Over? Two of the most common types of garage door are roller and up & over – you may find you are choosing between these options for your new door. This is partly a choice on whichever you think looks best, but they are issues with practicality as well. Roller garage doors are ideal in terms of their ability to save space as they simply slide up in a rack in the ceiling. Up & over doors are generally sturdier and heavier, offering additional security, but they also require a little more space to operate correctly.